KINGSTON, Ont. - A man accused of killing his three daughters over family honour portrayed himself Thursday as a loving, benevolent and lenient father, even though his children were cruel to him. The picture Mohammad Shafia painted of himself as he took the stand at his murder trial was in stark contrast to evidence the jury has heard from Crown witnesses over the past six weeks. 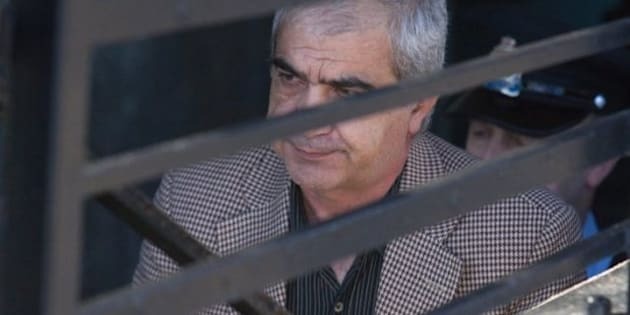 Court has heard that his children were afraid of him, begging authorities to remove them from the home, and that he cursed them as treacherous on wiretaps secretly recorded after their deaths. What Shafia meant, when he was recorded on the wiretaps saying that even if the girls came back to life 100 times he would "do the same again," is that he would continue to give them good advice, he told court. When he was heard saying, "God's curse on them," he was really cursing himself, Shafia said. He also tried to explain what he meant when he said on the wiretaps, "May the devil (defecate) on their graves." "To me it means that the devil would go out and check with them in graves," Shafia said through an interpreter. "If they have done a good thing it would be good, if they did bad it would be up to God, what to do." Shafia's lawyer, Peter Kemp, suggested it was a common phrase in Dari, a dialect from Afghanistan and Shafia's first language. "Have you heard it often?" Kemp asked. "Yes," Shafia replied, "I heard it in court." Shafia, 58, and his wife, Tooba Yahya, 41, and their son Hamed, 20, have each pleaded not guilty to four counts of first-degree murder. They're accused of killing Zainab, 19, Sahar, 17 and Geeti Shafia, 13, and Rona Amir Mohammad, 52, Shafia's first wife in a polygamous marriage. The four bodies were found June 30, 2009, inside a car submerged in a canal in Kingston, Ont. Shafia admitted under cross-examination Thursday afternoon that he thought his daughters' behaviour — Zainab and Sahar dating boys and Geeti skipping school — was damaging the family's reputation. But he denied Crown attorney Laurie Lacelle's suggestion that by the time they died, Shafia knew all four wanted out of the family home. "No ... They were happy," Shafia said. However, he did acknowledge he knew about a suicide attempt by Sahar, though he said he couldn't remember if he was at home or out of the country on business at the time, because "this was not something extraordinary." Shafia wept on the stand as he described finding a picture of Sahar clad in a short skirt and hugging her boyfriend. He said his children "betrayed" him by dating, saying repeatedly and angrily that he did not expect that kind of behaviour from them. "My children did a lot of cruelty toward me," Shafia said. He also cried on the stand as he talked about how he forgave Zainab for marrying a Pakistani boy. "I gave her $100 and I kiss her face," he said. Both times that Shafia began to cry, Yahya started weeping soon after. Shafia described himself as heading up a "liberal family," giving his kids money and buying them whatever they wanted, never decreeing what his daughters should or shouldn't wear, including the hijab, and saying that he would have permitted his daughters to marry someone who isn't from Afghanistan or even Muslim. "I will tell her my opinion and I will tell her that's not good," he said. "If my daughter insists on that, this is up to her. This is not my life. This is her life." Court has heard evidence that the girls were under pressure to wear the hijab, that they often wore one outfit to leave the house and changed at school, and that the family forced Zainab to end her marriage to her Pakistani boyfriend after just one day. Shafia denied previous testimony that he had been abusive, saying he only hit two of his children one time when they came home late from shopping, and demonstrated the slaps by lightly touching his cheek.